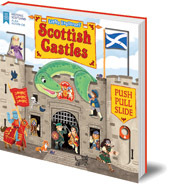 An exciting moving parts board book based on real Scottish castles! Pull up Stirling Castle portcullis and tunnel out of Edinburgh Castle dungeons. Created in partnership with Historic Environment Scotland, illustrations are packed with historical detail. Lay siege to Stirling Castle, spot Nessie hiding at Urquhart Castle, have a feast with Mary Queen of Scots and escape Edinburgh Castle's dungeons! This book introduces little explorers to Scotland's history through its most famous castles. Moving parts let them pull up a portcullis, lower a drawbridge, tunnel out of the dungeons, blow up a tower and set off an amazing firework display. 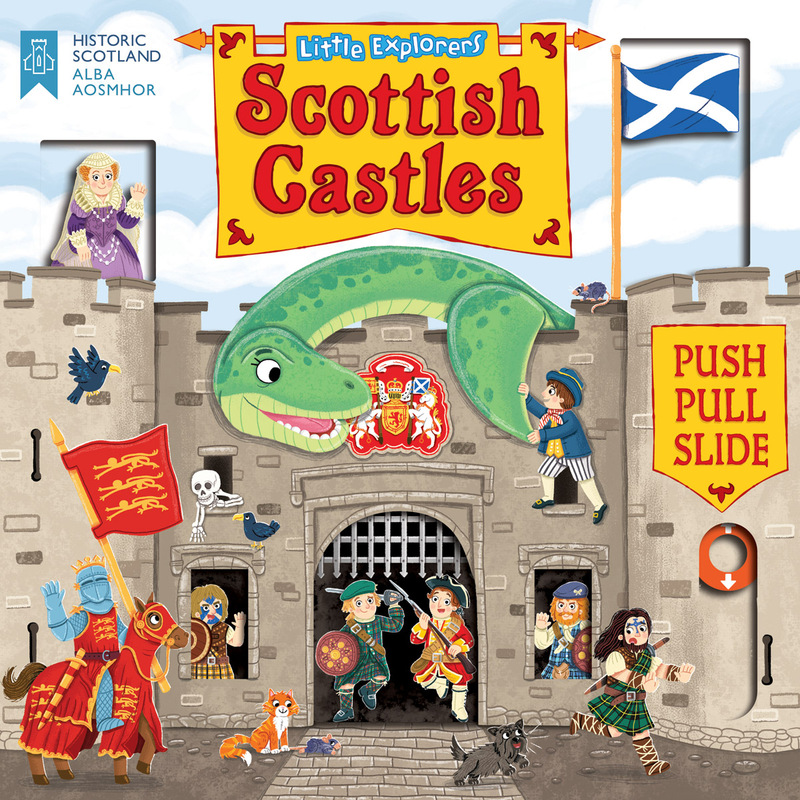 Published in partnership with Historic Environment Scotland, who run some of Scotland's most famous historical tourist attractions, each page is inspired by a real Scottish castle in their portfolio. The bright and exciting illustrations are packed full of historical detail helping young children to learn as they play. An ideal gift for visitors to Scotland, this large board book is chunky but lightweight with sturdy moving parts that are just the right size for little hands. Louise Forshaw fell in love with drawing at a young age. After a childhood of drawing comics, Louise graduated from Newcastle College, UK, in 2008 with a degree in Illustration and Animation. She is the illustrator of numerous children's books, including the Busy Books series. Louise lives just outside Newcastle upon Tyne and works from her small home studio, with three Jack Russell terriers to keep her company.